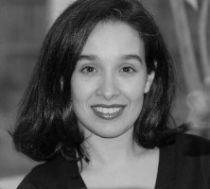 Catia Batista is an Associate Professor of Economics at Nova University of Lisbon, and co-Founder and Scientific Director of the NOVAFRICA research center at the same institution. She obtained her Ph.D. in Economics from the Department of Economics at the University of Chicago. Catia has conducted randomized field and lab-in-the-field experiments and collected data on topics related to mobile money and financial innovation, migration and remittance flows, education, entrepreneurship and technology adoption, including agricultural modernization, in countries such as Cape Verde, Ireland, Portugal, Mozambique and Sao Tome and Principe. She has lectured macroeconomics, development and international economics at the departments of Economics of the University of Chicago, University of Oxford, Trinity College Dublin and Nova University of Lisbon. In the past she has also worked at the International Monetary Fund and at the Portuguese Catholic University. She is affiliated as a researcher with CReAM (London, UK), and IZA (Bonn, Germany). She has also worked as a consultant for the IGC (International Growth Center, based at the LSE) and for the World Bank. Her research has been published in outlets such as the Journal of Development Economics, the Journal of Economic Behavior and Organization, and the World Bank Economic Review. Catia Batista joined CReAM as an external affiliate in June 2011.